Thirty Three years ago today; John Lennon was taken away from the world. Just like his father left him at the age of five. Like his mother abandoning him at the same age. Like his father figure uncle when he was a young teen. Like his mother when he just became reacquainted with her. Like his good friend Stuart Sutcliffe. Like his confidant and manager Brian Epstein. Like his son Julian. Who he admittedly neglected in his early years. 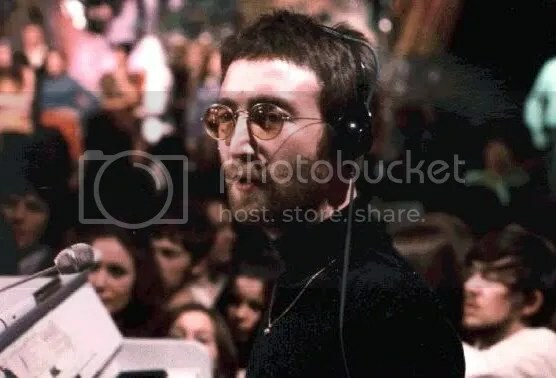 There is no doubt that Lennon was a highly angry and bitter man and it was something he wouldn’t go on to release until late into The Beatles time together and into the early stages of his solo career. Though on days like this people wish to remember Lennon through the nostalgia of Imagine and other songs; he was much less evocative of the songs lyrics in the life he lead. He would later go on to say that it was “idealistic” and “sugar-coated” despite it being one of the most simple yet most effective and elusive songs in history. How could a man who grew up with so much anger mould a message that is almost too wonderful for humanity to replicate? The answer is that it was the opposite of the world he lived in. I wish to look at a song with which he is being more direct. More realistic. One of these is I Found Out from The Plastic Ono Band album from 1970. Its a song about hypocrisy, anger at the lies he’s been told and generally a personal mission to diminish anyone who frustrated or hurt him. The song is brutal, honest and magnified by the music. The heavy and low lying bass line reverberates through the track along with the scratching guitars. Set against it is the gravely and snarling vocal from Lennon. If anything the emotion that Lennon evokes the best and this song is absolute proof of this. It would go on to be a precursor to the punk genre with a further development of proto-punk. One of the ways Lennon continued to influence music beyond the existence of The Beatles.